PMS - Can Diet And Supplements Help? Premenstrual Syndrome affects almost 1 in 10 women and is associated with a significant change in mood, anxiety, tension and irritability. Your friends or partner may be able relate to the change in your mood a week or two before you get your period. There are a number of theories about the cause of PMS. It has been thought that the increase in hormones, particularly oestrogen during the luteal or second phase of the menstrual cycle is to blame. However research has not found consistent differences in women who suffer PMS. Prolactin which is a hormone produced by the pituitary gland is thought to be involved in PMS. Increasing levels of prolactin stimulate dopamine receptors and can cause irritability, anxiety and other symptoms associated with PMS. Aldosterone which causes fluid retention and an increase in blood pressure is aslo associated with PMS and is likely to be the cause of some swelling and bloating seen during PMS. Opioid hormones naturally occuring in the body may also change and women who suffer PMS often have altered levels of these hormones. 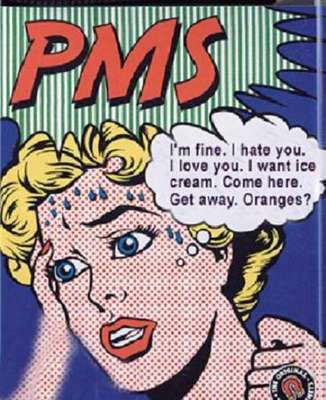 So what can help with PMS? Eating slow release forms of carbohydrates can help manage the changes in blood glucose that can occur with PMS. The increased sensitivity to altered levels of insulin may contribute to PMS symptoms. By eating low GI foods, it can help to regulate the levels of insulin in the body. Magnesium has also been shown to help with regulating PMS symptoms. The effect of magnesium on increased dopamine and thyroid levels can lead to a reduction in prolactin. Reducing prolactin may help with PMS symptoms, particularly moods and irritability. Pyridoxine or Vitamin B6 is also involved in the regulation of serotonin. Serotonin is a chemical produced in our body which makes us feel food and relaxed. Increasing levels of serotonin helps to improve PMS symptoms and pyridoxine is an important vitamin in the production of serotonin. There have been numerous studies looking at the effectiveness of pyridoxine and the overall evidence supports this supplement. Muscleze P5P is a great supplement to use in the treatment of PMS as it is a combination of magnesium and pyridoxine. The magnesium is in a form that is readily absorbed. Including good bacteria or probiotics may also help with regulating PMS symptoms. The role of bacteria in the gut is to help with regulating oestrogen levels. As oestrogen is included in bile salts, certain bacteria in the gut deconjugate it which causes it to be reabsorbed. Using a probiotic such as ultrabiotic may help with improving gut bacteria and regulating oestrogen levels. 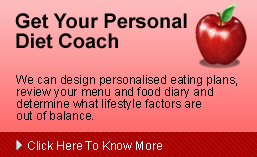 Increasing your intake of fibre and changing to a low fat diet may also help. The effect of calcium supplements in PMS has been well demonstrated. Calcium has been shown to be effective in reducing PMS symptoms and it is thought to have a role in the regulation of oestrogen levels. Calcium supplementation of 1200mg a day can reduce PMS. Calcium Orotate from bioceuticals is a form of calcium that has excellent absorption and using two tablets a day during the premenstrual phase may help to alleviate some of the symptoms associated with PMS.